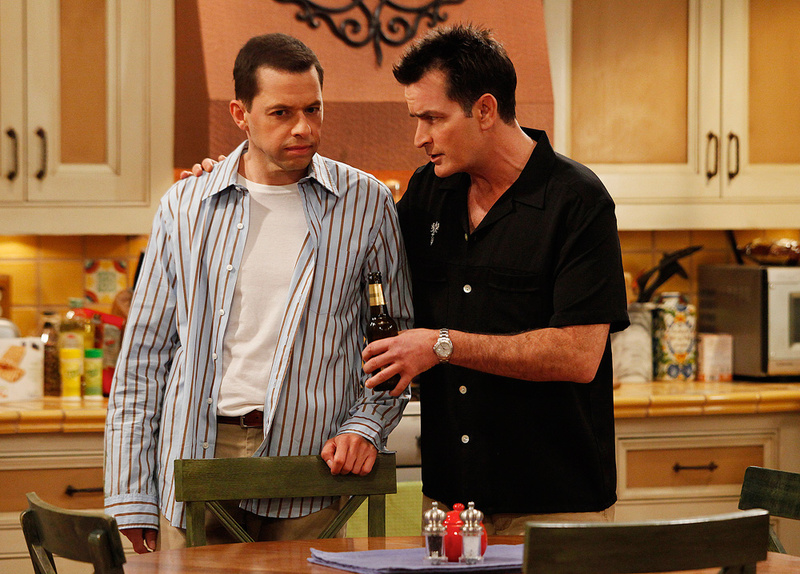 Dos hombres y medio. . HD Wallpaper and background images in the Dos hombres y medio club tagged: two and a half men season 8 hq episode stills jon cryer charlie sheen. This Dos hombres y medio photo might contain cuchilla, cuchilla de carnicero, interruptor, cuchilla de la carne, and chopper.